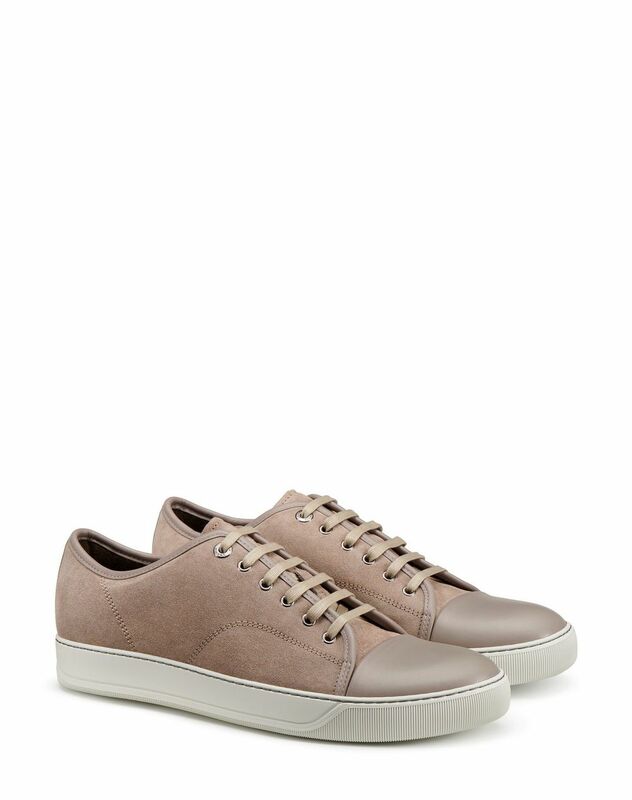 Light beige suede calfskin low-top sneakers, nappa calfskin over-seam and toe cap. Dark brown 100% calfskin lining. Exclusive rubber sole. 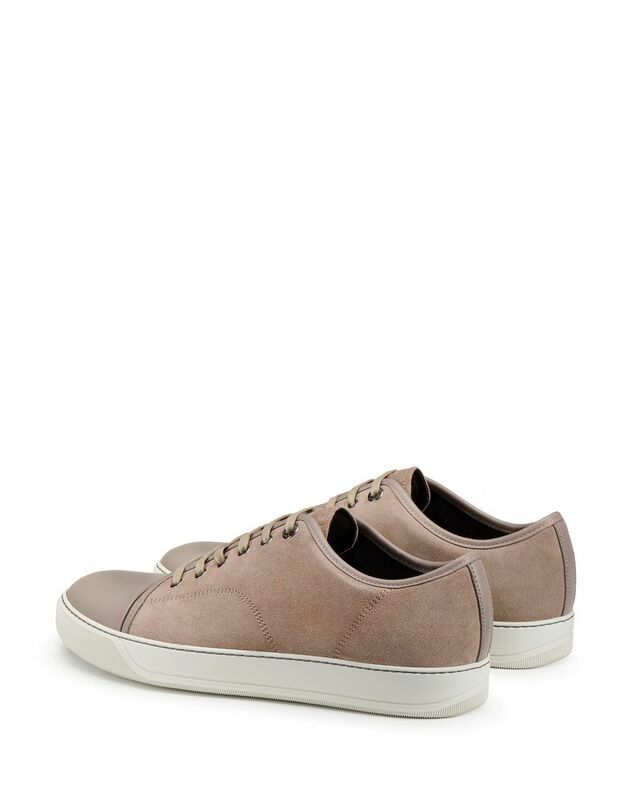 Main material: 100% calfskin. 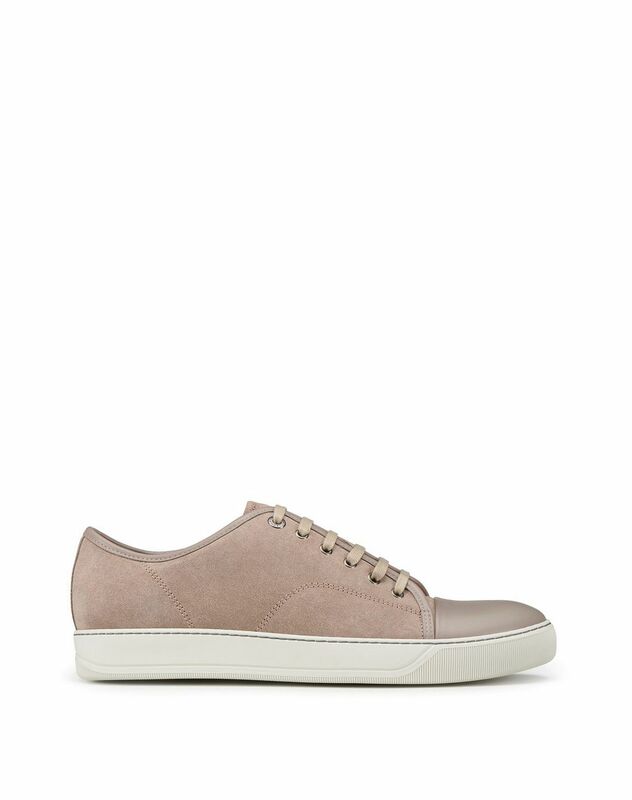 Lining: 100% calfskin. Sole: 100% rubber. Made in Portugal.